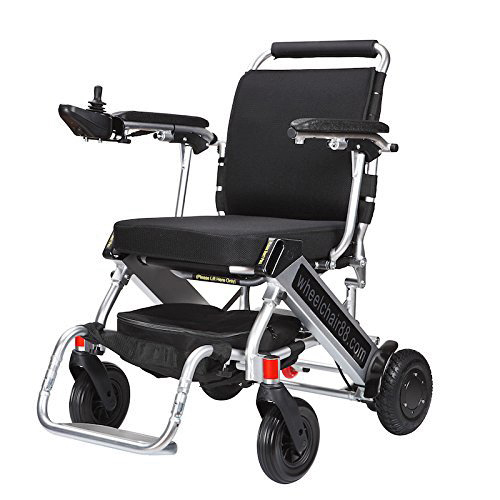 We are the UK distributor for wheelchair88 and their range of Foldawheel folding powered chairs. Sales, service and support for UK customers. The Foldawheel range of powered chairs are from Wheelchair88, innovators of lightweight folding chairs and accessories with unique features and high quality. The range takes powered chairs to a new level using the latest light but powerful motors and batteries in a very modern looking design. We are the UK experts on the Foldawheel range from Wheelchair88 and offer a personal service to UK customers for sales, support and servicing. At just 20.5kg, the Foldawheel PW-999UL is a remarkably light power wheelchair. Its compact size allows it to fit easily in the trunk of a small car. Although it is very compact, it is more powerful than most power wheelchairs on the market and will travel up to 16 miles with 2 batteries on board. Foldawheel PW-1000XL weighs only 25kg (55 lbs) and it takes just a few seconds to open / fold. It is a wider version of our the PW-999UL with extremely fast folding capability. If you love our Foldawheel PW-999UL but are a larger body size or weight, the PW-1000XL, with it's powerful motors and up to 27 mile range with 3 batteries on board, is the powered wheelchair for you. We are the UK distributor for wheelchair88 and their range of Foldawheel folding powered chairs. We provide expert sales, service and support for UK customers. We are Proactive Mobility Ltd.
We have many years experience in the mobility sector supplying, servicing and maintaining mobility equipment. We carefully source the best products in each category and offer professional advice combined with technical expertise and customer support that is caring and understanding to people with mobility needs. We are a member of the BHTA. If you have a question for us, please complete the form below. Please call for Showroom Appointments.